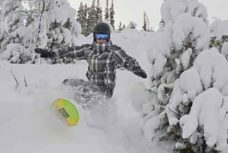 In a world of mega ski resorts, be like Whitewater in Canada by Snowsbest – The gem of a mountain resort twenty minutes from the lakeside ‘hippy’ town of Nelson in British Columbia has terrain to make you weep in a good way. 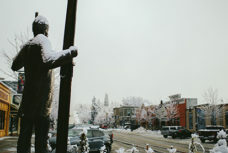 A Few Days in Rossland, BC – A Must-Stop on the Powder Highway by Kyle Frost – If this town of less than 4,000 friendly folks doesn’t charm your socks off, the terrain at RED Mountain Resort sure will. 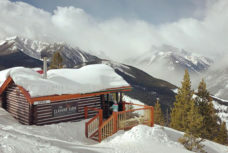 Choose Your Own Adventure in the Canadian Rockies this Spring by Tanya Koob – Spend a weekend in a remote off-the-grid cabin with a glacier out your back door. 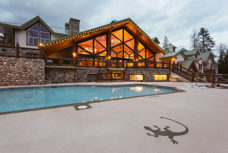 Alternatively, check into a deluxe cabin with hot springs located close enough that you can make a run for it in your bathrobe. 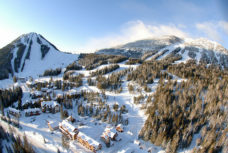 Whatever you do, don’t talk about RED Mountain Resort in Canada by Snowsbest – The first rule of RED Mountain Resort is don’t talk about RED Mountain Resort, but I’ve never been good with rules. The irony is that this quiet achieving ski resort on Powder Highway has long relied on word of mouth. 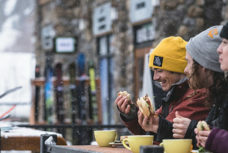 Ski and Eat BC’s Kicking Horse Mountain by Megan Hill – Found in the heart of the Kootenay region of southeastern BC – Kicking Horse Mountain Resort checks all the boxes from on-mountain eating and drinking to village stops worth the venture. 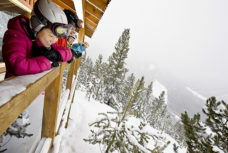 Six best family ski resorts in British Columbia by Jemma Newlyn – Maple syrup, Ryan Gosling and damn good ski resorts including Kimberley Alpine Resort and Panorama Mountain Resort. Canada gets everything right. 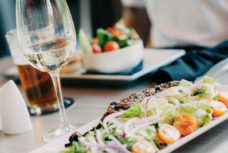 Apres-Ski Dining at Panorama Mountain Resort by Megan Hill – Northwest powder hounds know British Columbia’s Powder Highway as a destination for winter adventures. The highway links eight ski resorts. Dining options range from village-based restaurants to one-of-a-kind mountainside experiences.